…until a day in 2011, when Andy Campbell – a fellow creative of whom I’d been only glintingly aware – contacted me concerning a project that he thought might fire my interest. 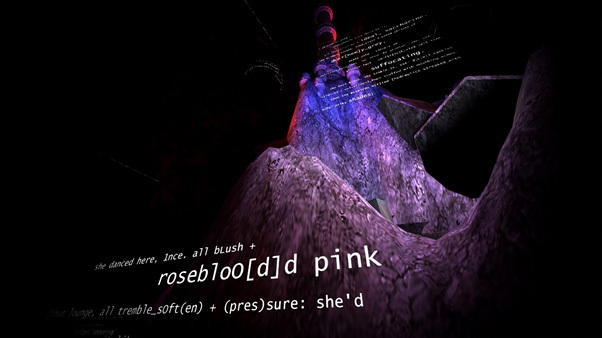 The project was The Dead Tower, a haunting 3D gameworld in search of a narrative. He wanted a mezangelled story base for this project, one that perhaps I might write and that we could then conceptually jigsaw into the space, together? How *could* I say no? And so The Dead Tower clawed forth, in all its non-linear-narrative, Cartesian-warping glory. 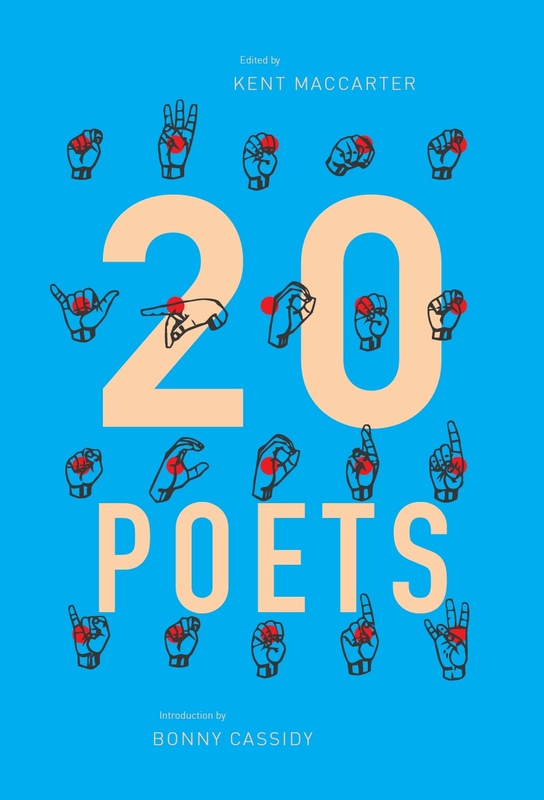 This initial collaboration was rapidly followed by the creation of a Virtual Reality Code Poetry App called #Carnivast. 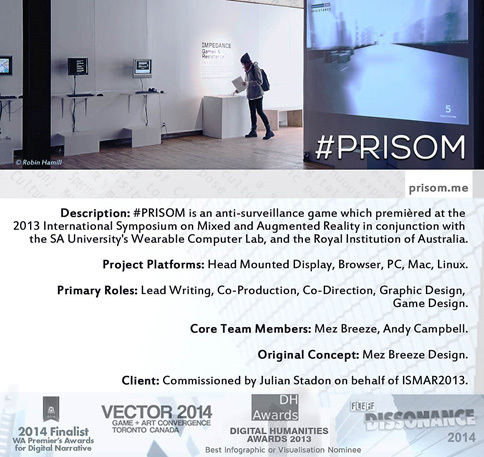 Then, in 2013, Andy and I co-created #PRISOM, a 3D ‘anti’-game where a player is set loose in a glass city under infinite surveillance whilst being left to battle mezangelled-spewing drones. We designed #PRISOM specifically for use with Virtual Reality HUDs [which acts to further embed players within this dystopically-repeating space]. On the back of such a successful collaborative streak, Andy and I are currently embarking upon a shiny new work: a work mega-sprawling in scope and crankingly ambitious. A work that will eventually unfold through a number of platforms and formats. This work is called Pluto. 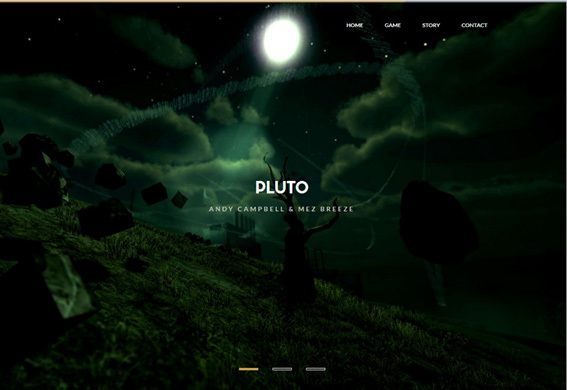 One of Pluto’s story components is an oddly skewed virtual reality gamespace that glimpse-suggests wormholes and parallel realities: the surreal free-to-explore gamescape is complexly beautiful and poetically compelling. While absorbing Pluto, a player will question the nature of perception formation and reality construction. The Pluto audience will be left pondering their own sense of self through concepts centred on traversing boundaries from childhood to adulthood; the construction and perception of reality through life experience and the influence of those closest to us; the petrifying thought of duplicate selves housed in alternate realities; and the elongation of the ‘real’ as we [think we] know it. My wish for Pluto is this: that one day, in a suitably ultramodern future, a Juvenile Humanoid Entity [JHE for short] might be resolutely flick-marching through an Old Media Virtual Reality Directory. This JHE might be deemed chronologically unsuited to view such a Directory, and unsure of how to navigate it: they just may have been propelled by their unfathomably futuristic teachers to leapfrog past their mandated Wearables and delve. And if such a future eventuates, I hope that timorous yet determined JHE bravely flips into the ‘B[reeze]’ and ‘C[ampbell]’ sections, and discovers Pluto there, waiting. This entry was posted in ESSAYS and tagged mez breeze. Bookmark the permalink. Since 1995, Mez Breeze’s award-winning digital writing and games have been influential in shaping interactive genres. In 2015, she has been shortlisted for both the Thiel Grant Award for Online Writing and in the Games Development category of the 2015 MCV Pacific Women In Games List which profiles the: '...most influential women [in] the Australian and New Zealand Games Industries.' 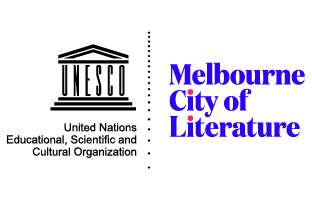 Her works reside in Collections such as The World Bank, the National Library of Australia and Duke University. Breeze is the Creative Director of @MezBreezeDesign, an Advisor to The Mixed Augmented Reality Art Research Organisation, Senior Research Affiliate with The Humanities and Critical Code Studies Lab and Judge of Bournemouth University's 2014 New Media Writing Prize.